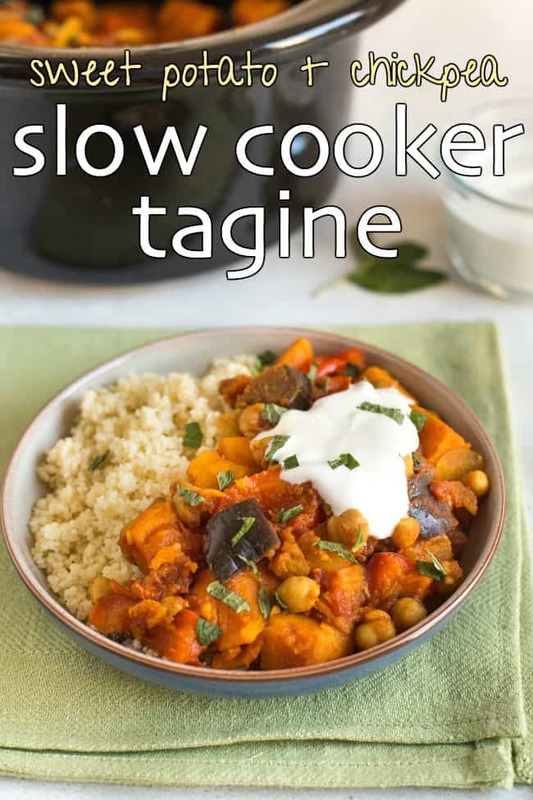 This slow cooker tagine couldn't be easier to prepare - just throw everything in and turn it on! A tagine is usually cooked in… well, a tagine. It’s a North African stew that’s named after the pot it’s cooked in, with its characteristic pointy top (something like this*). I do actually have a lovely tagine, but I know not everybody does – not everyone has space in their kitchen for a piece of cookware that’s dedicated to one particular dish (to be honest, I don’t either, but I’ve crammed it in somewhere). 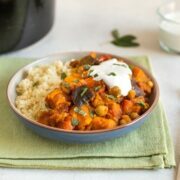 Slow cookers are much more common, and much more versatile, so this time I thought I’d make a slow cooker tagine, with sweet potatoes and chickpeas. 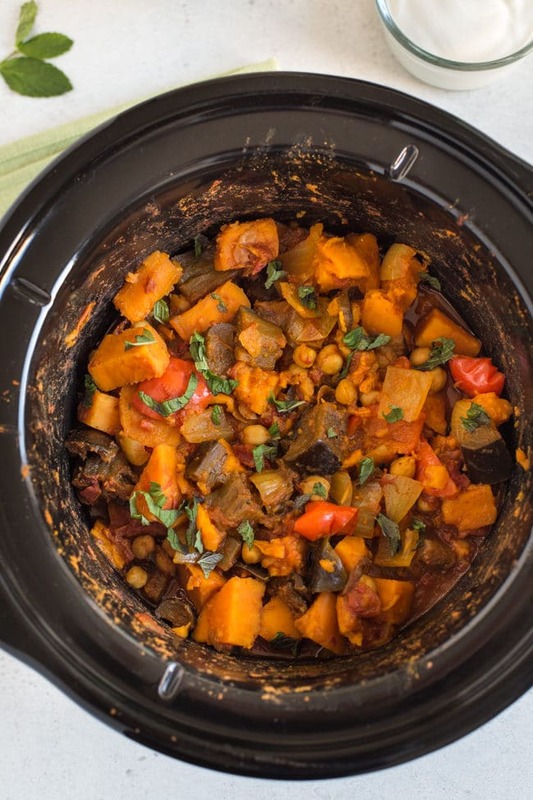 You can put whatever kinds of vegetables you like in your slow cooker tagine, as long as you make sure it’s the kind of veg that benefits from long, slow cooking. I probably wouldn’t add courgette (zucchini) or anything similar, as it will just cook down to a squidgy mess. Something like aubergine (eggplant) is perfect – it ends up nice and juicy and soft, and melts in your mouth, but still holds its shape. You’ll often find dried fruit (dried apricots, that kind of thing) in a tagine, but I prefer using sweet potato, which adds a bit more of a subtle sweetness. Once you’ve added your veg, you just need to add some of those amazing North African spices – cumin, cinnamon, turmeric, paprika… the flavours are gorgeous. 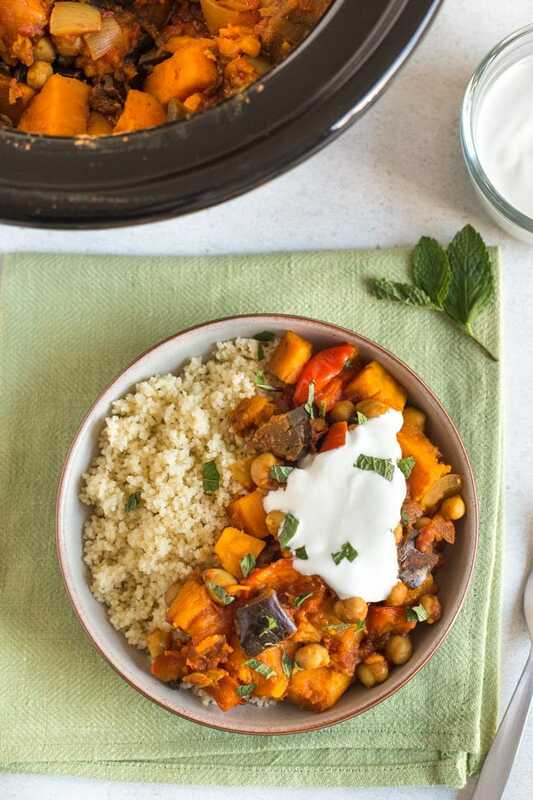 This slow cooker tagine is perfect served with couscous and a dollop of yogurt (use soy yogurt to keep everything vegan), plus a sprinkling of chopped mint to make it feel really nice and fresh. 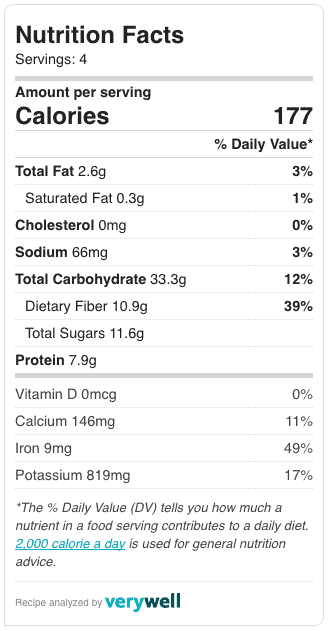 I love this kind of healthy comfort food! Peel the onion and sweet potato, then cut all the vegetables into 1 inch chunks. Add them to your slow cooker, along with the chickpeas, tomatoes, spices, and a good pinch of salt and pepper. Cook on high for 4 hours, stirring once halfway. Serve with couscous, with a dollop of yogurt and some fresh mint. 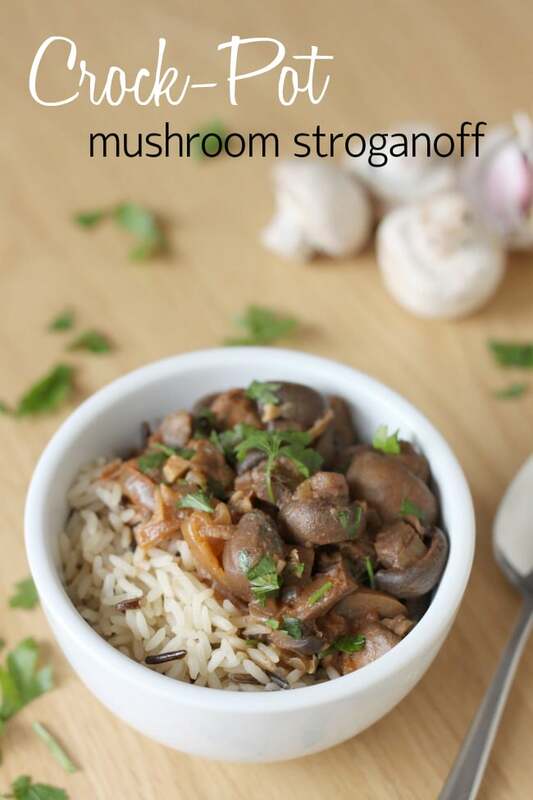 Here’s another easy slow cooker recipe, and one of my most popular – Crock-Pot mushroom stroganoff! * This post contains an affiliate link. If you make a purchase using this link, I will receive a tiny (tiny!) payment, at no extra cost to you. Thanks for the support! Ooh that’s a really great idea! Can this dish be reheated? You wouldn’t have an instant pot version of this amazing looking meal, would you? I’m afraid not! I’ve actually never used an Instant Pot – would you recommend them? I guess for this one you would just throw all the ingredients in, and cook it until it’s ready haha – much quicker than a slow cooker I would imagine! Looks fabulous, although I’m a bit wary of sweet potatoes just now, having had bad indigestion after eating them a couple of times recently! 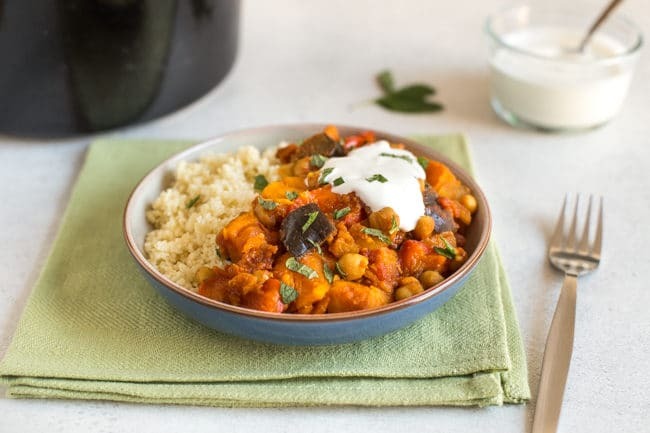 Parsnips, and to a lesser extent carrots, by the way, work incredibly well in that sort of dish – again, a bit of sweetness that you want in a tagine.